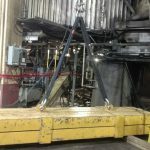 We perform load tests as a final process before signing off the crane for operation. 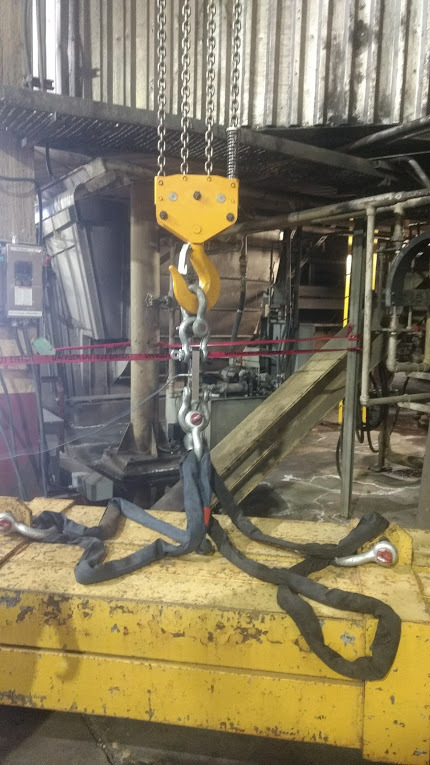 This ensures their safe operations, it ensures that the structure can hold the loads it was designed for, and it provides peace of mind that your equipment is safe to operate. 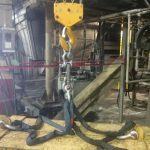 It’s of crucial importance to know that new, newly repaired or modernized lifting equipment is in proper working order. To do that we perform tests on the equipment before releasing it for service. We call it pre-service operational and load testing. 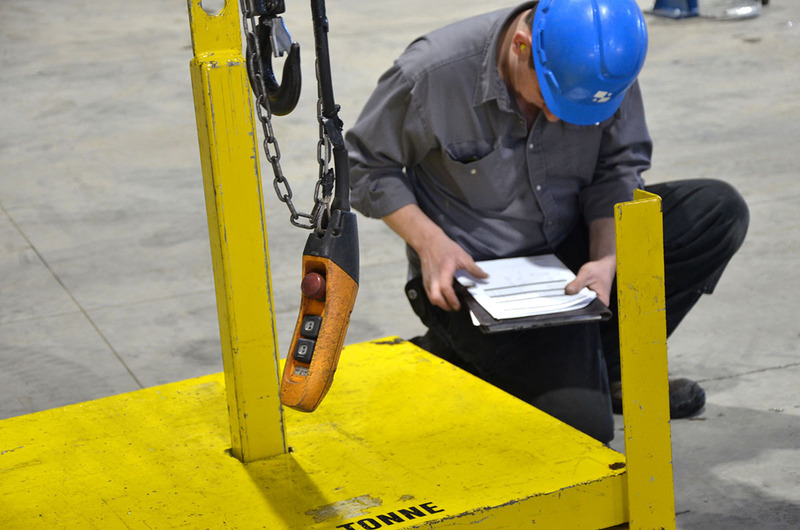 These tests are standard protocol for Acculift and comply with OSHA 1910.179 Overhead & Gantry Cranes Regulations. Below are OSHA’s regulations for operational tests that are used to define Canadian regulations as well. Limit switches, locking and safety devices. Test loads shall not be more than 125 percent of the rated load unless otherwise recommended by the manufacturer. These test reports shall be placed on file where readily available to appointed personnel. 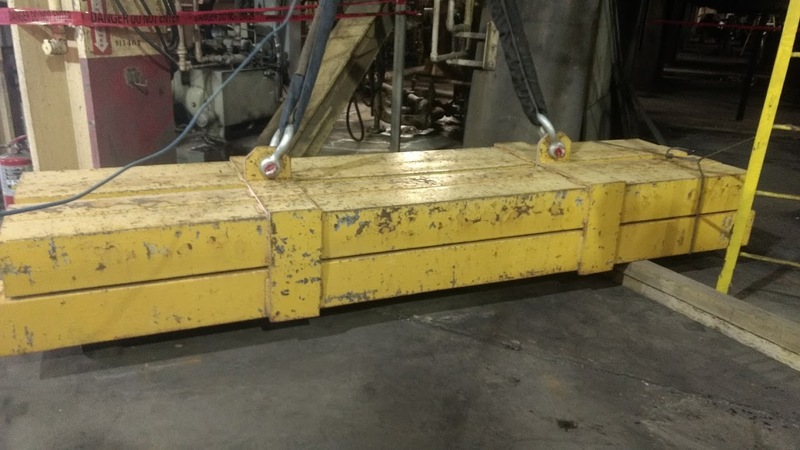 The load test measures the ability of the lifting solution on higher than rated loads to ensure safety at max. capacity. We also measure the deflection of the equipment while under load to ensure the equipment can handle the strain of lifting the load. These are two different tests performed during a load test. 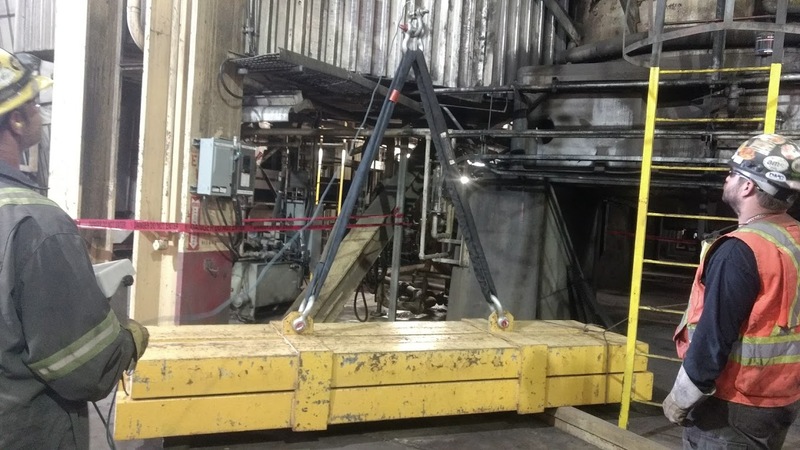 The actual test is quick to perform and doesn’t require lifting the test load very high. Our biggest challenge for load testing is getting a large, accurately weighted, test load to the site. 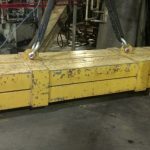 Not all facilities are built to have forklift drive around moving 1-10 tons of weight and at times where the crane is located a forklift may not be able to access it. 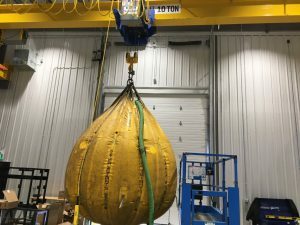 At times, we have had to get very creative to perform the load test properly; using large water bags, custom built weights or items where we know the precise weight. In these circumstances, we use a load cell device to measure the weight of the test load to ensure it is sufficient for these purposes. 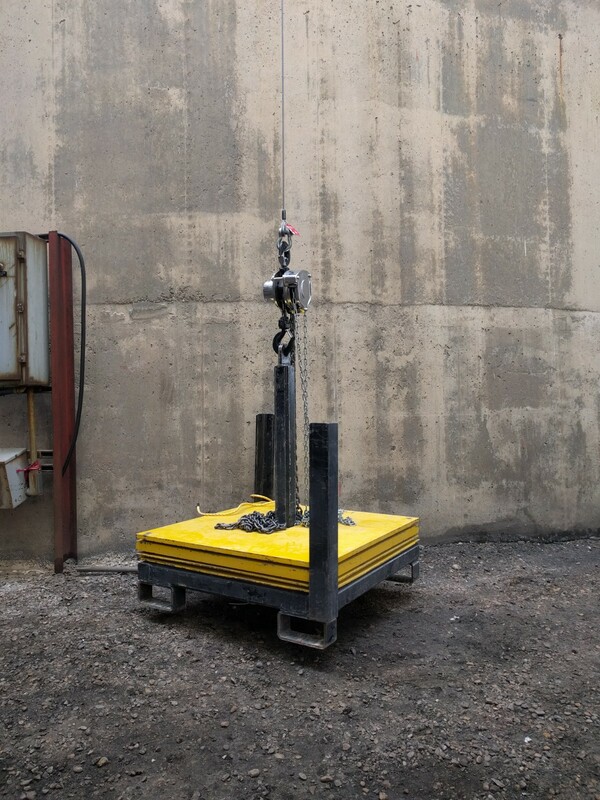 The load cell is also used to load test individual magnet lifters (these should be tested yearly to ensure that they are maintaining their capacity). 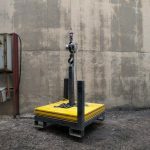 These tests are crucial to the safe operation of equipment and Acculift will not release equipment for use until they have been performed on equipment we have installed. 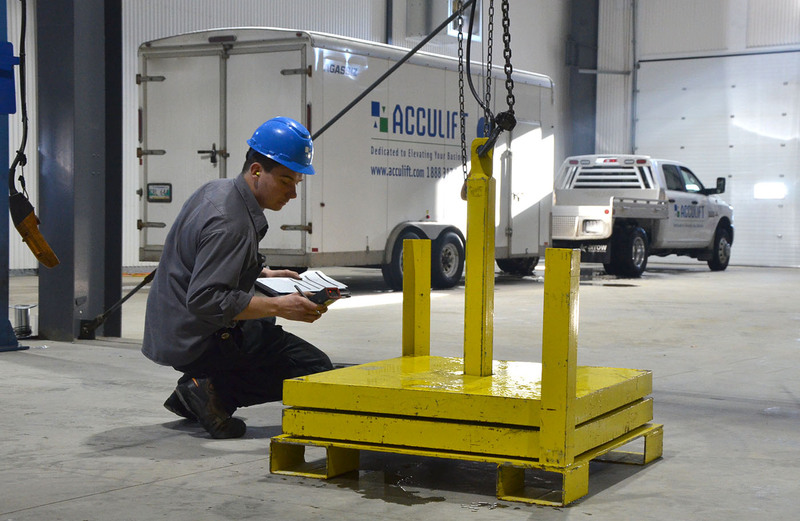 The results of the tests are then kept in the crane’s history logbook provided by Acculift (this logbook details every inspection and test performed on the equipment and the history of the equipment).